PALMDALE – A pizza restaurant in Palmdale was robbed at gunpoint and authorities are searching for the thieves. Just before midnight Monday, two men, one armed with a gun, walked into the Pizza Hut in the 200 block of East Palmdale Boulevard and demanded money from an employee, according to Lt. Steve DeJong of the Los Angeles County Sheriff’s Palmdale Station. The men got away with an undisclosed amount of cash and were last seen leaving the area in a dark gray SUV, DeJong said. Sheriff’s detectives recently asked for the public’s help in identifying two men wanted for armed robberies in Lancaster and Palmdale. 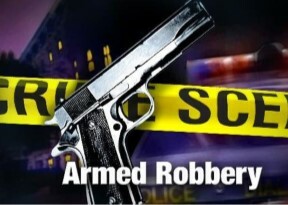 The first armed hold up occurred about 11:30 p.m. March 3 in the 1800 block of Avenue J in Lancaster and the second happened about 10:30 p.m. on March 5 in the 5000 block of West Avenue N in Palmdale. It was unclear if the same men carried out Monday’s robbery in Palmdale, DeJong said. A detailed description of the suspects was not immediately available. 1 comment for "Palmdale Pizza Hut robbed at gunpoint"
I think those two STEM students seen in the previous link are the two pizza joint raiders.